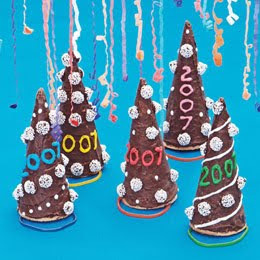 These chocolate-covered cones are a stylish addition to a New Year’s celebration, serving as both festive decorations and a sweet topping for a scoop of ice cream. Click here for instructions. Begin by creating your favorite pancake batter. Or try this favorite: The Perfect Pancake Mix. On New Year’s Eve, invite your kids to write a letter to their future selves. They can list their favorite things (books, songs, ice-cream flavors, TV shows, foods, colors, animals, games) and make predictions (how tall will they be in a year?). Pack away the letters with the holiday decorations so that they’ll be out of sight but easy to find next year. 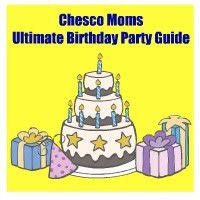 On December 31, 2010, have your kids open their letters and see how much their tastes have changed — or haven’t!